Carnew Credit Union are holding their AGM on Tuesday 16th December at 8pm in their office, all members welcome. Baubles are on sale for the Forget Me Not Christmas Tree which is in Askamore church, mass will be celebrated on 21st December at 11am, baubles are €3 each or two for €5 from Askamore Childcare Centre or any parent. Congratulations to Laura Levingstone, Ballingate and David O’Connor, Wexford on their engagement. A talk called “Coping with the Challenges of Life today for families in Rural Communities” will take place in Askamore Activity Centre by Denis O’Connor of Console Wexford on Thursday 11th December at 8pm cover charge €4, all welcome to come along. Carnew ladies football are holding their AGM on Sunday 7th December at 5pm in The Lodge, anyone wishing to help out with the juveniles are invited to come along, all new players welcome to attend. Sincere sympathy is extended to the family and relatives of Andy Hayden, Ferns who died recently. Sincere sympathy is extended to the family and relatives of Kathleen Kavanagh, Kiltilly who died during the week. St. Kevin’s Church, Kilaveney, Tinahely was the setting for an unforgettable evening of music and song on Friday 28th November last. Performing on the night were ‘Celtic Trinity – Denise Brennan, Avril O’Toole and Karen McGillycuddy with special guest Liam Lawton. Also featured were Denise Brennan’s Voiceworks choir and Lambert Harpists Miriam,Bernadette, Brid and Roisin. All the performers delivered their range of repertoire marvelously and were a delight to listen to. Proceeds from this event will be shared by St. Kevin’s Church and APA – A Partnership with Africa. Sincere thanks to all the performers for giving so generously of their commitment and time to this fundraising concert. Thanks also to the supporters, sponsors, attendees, ticket sellers, committee members, volunteers and everyone who contributed and helped in any way to make this event such a wonderful success. It was a very special and memorable evening. Students of Colaiste Bhride will present their annual festive concert of music and song entitled Sing Ye All Noel in All Saints Church, Carnew on Friday 12th December at 7.30pm. Entry is €5 and tickets are available from the school and performers. On Sunday Dec 7 the walk is the Railway/Garryhoe walk (Grade C, 2.5 hours) meeting in Tinahely Square at 10.30am. 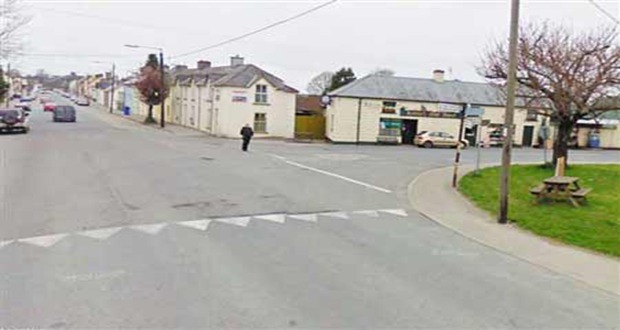 On Sunday Nov 30 the walk is Trooperstown (Grade C, 12km, 3.5 hours approx) meeting in Tinahely square at 10.00pm. Please ensure to wear proper walking boots, to bring adequate food & drink and to pack (or wear) rain gear. (Walk grades: A is the hardest and C is the easiest – depends on gradient and duration.) Full walking schedule is on the Tinahely Website. Hope Cancer Support Centre Christmas cards are available in the Hope Cancer Support Centre and Hope Shop in Enniscorthy. €5 for a pack of 6. Your support would be very much appreciated.